Is there a better alternative to Logiconizer? Is Logiconizer really the best app in Icons category? Will Logiconizer work good on macOS 10.13.4? 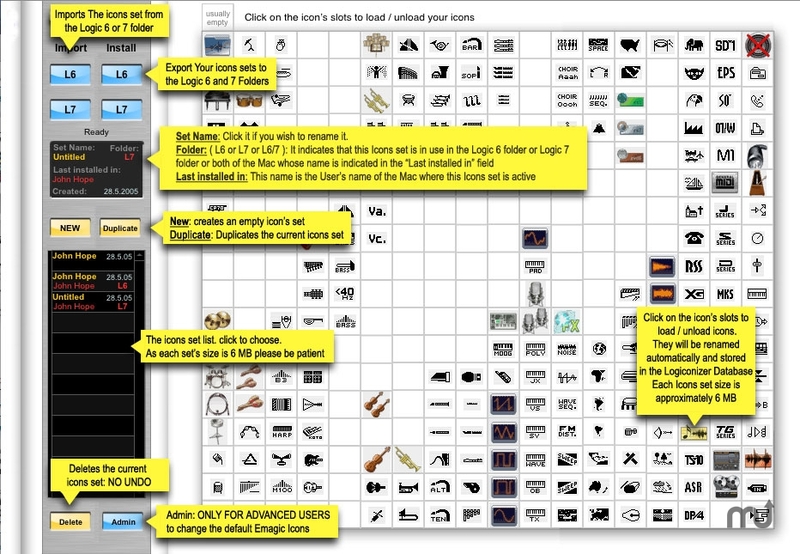 Logiconzer is the best way to manage Apple's Logic Pro Icons. Assemble visually you icon's sets and export them to the Logic Pro 6 or 7 folders. As Logiconizer is a database, use it to backup, transport and exchange icon's sets everywhere. Mac OS X 10.0 or later for Standalone version, Filemaker 7 for Filemaker document. Logiconizer needs a rating. Be the first to rate this app and get the discussion started!